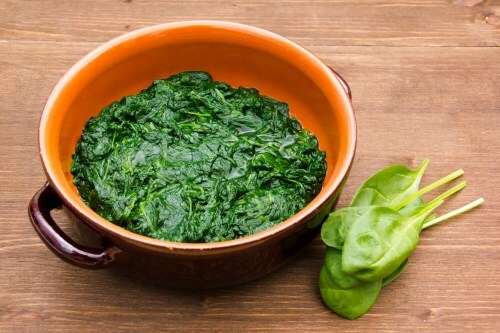 Place the spinach and water into a saucepan, and bring to a boil over high heat. Reduce heat to medium-low, cover, and simmer 4 to 6 minutes until tender. Meanwhile, whisk together the tahini, garlic, cumin, paprika, cayenne pepper, and red wine vinegar. Season to taste with salt and pepper. Drain the cooked spinach, and top with the tahini sauce to serve.